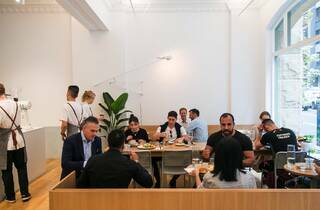 Melbourne and Sydney enjoy a sibling-like rivalry, where we attempt to trump their nightlife credentials, 24-hour transport and progressive state government by repeatedly pointing to our surf beaches and sunshine. 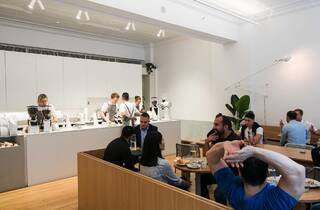 But we also enjoy an excellent cultural exchange program with our southern counterparts that has seen Huxtaburger and Belles Hot Chicken move north while we sent gelato emissaries south in the form of Messina outlets. 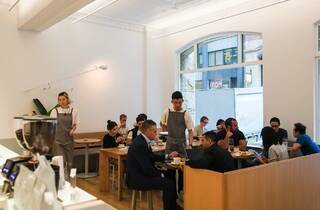 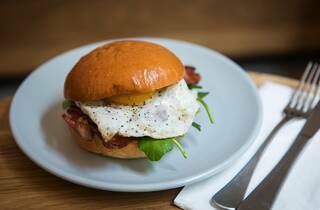 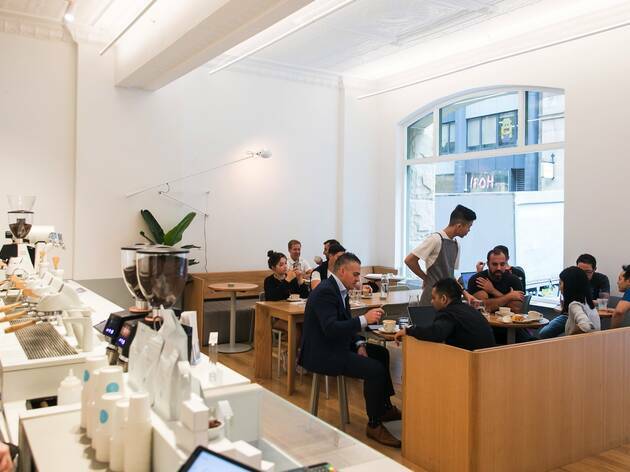 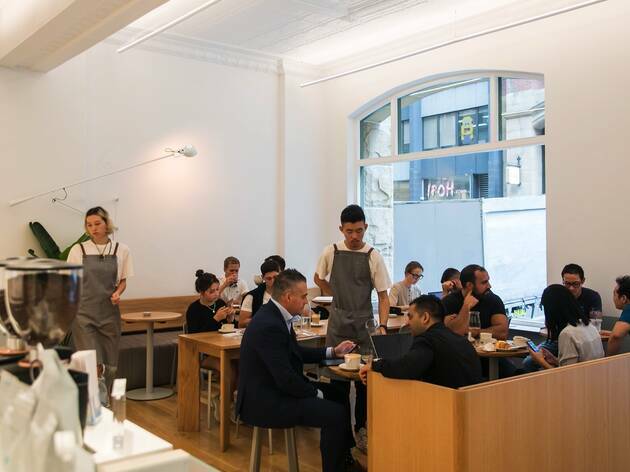 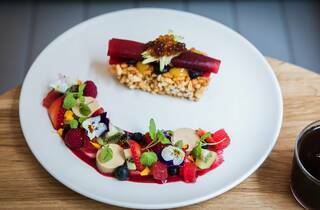 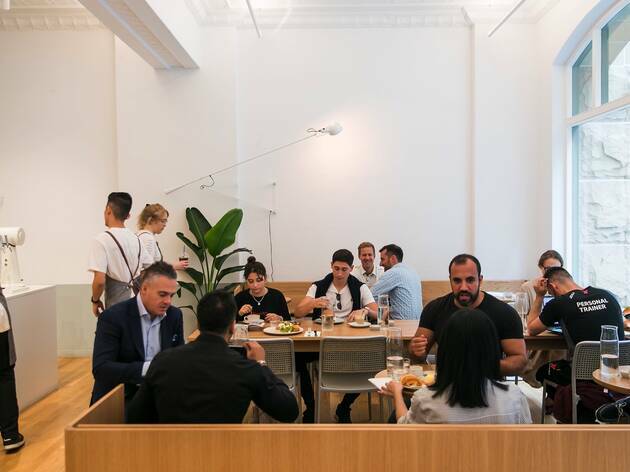 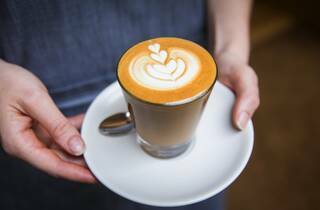 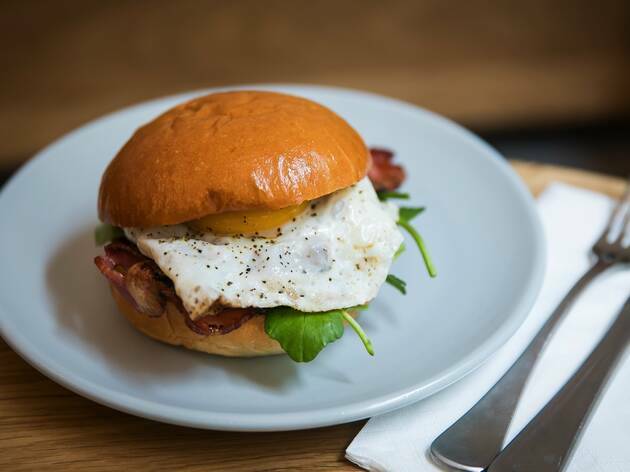 That’s why we now also have our very own outlet of Fitzroy’s famous café with fine dining sensibilities, Industry Beans, and it’s so Melbourne it hurts. 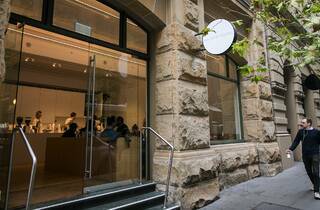 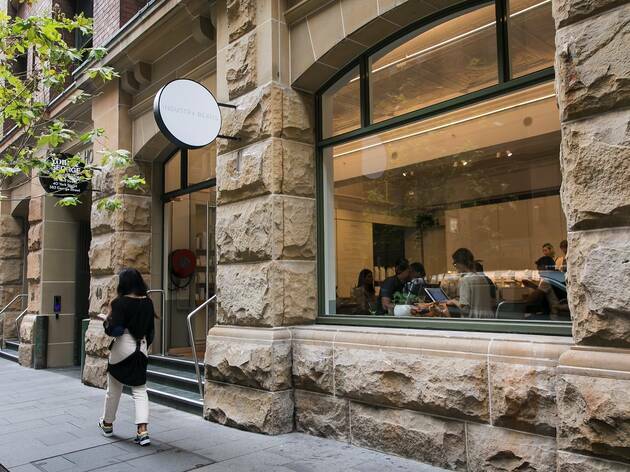 They’ve chosen one of the city’s more stylish shopfronts along York Street as a base of operations, so naturally there’s rough-hewn sandstone and graceful curved arches on the facade to set the scene. 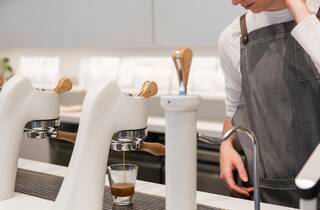 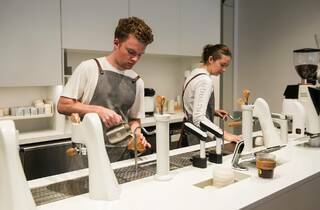 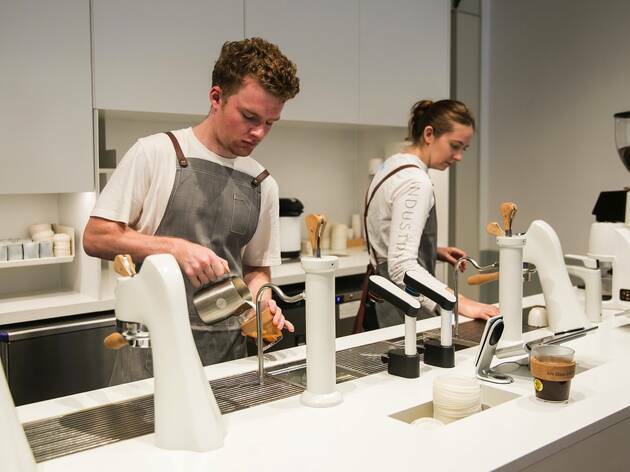 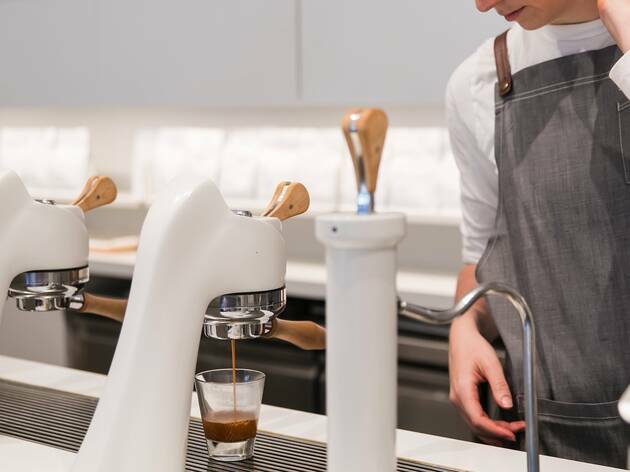 Inside, it’s a glowing white central command of caffeine, with one long counter dedicated to taps, spouts and outlets that look like they might moonlight as 3D printers for Westworld hosts when they’re not making espressi and filter brews. 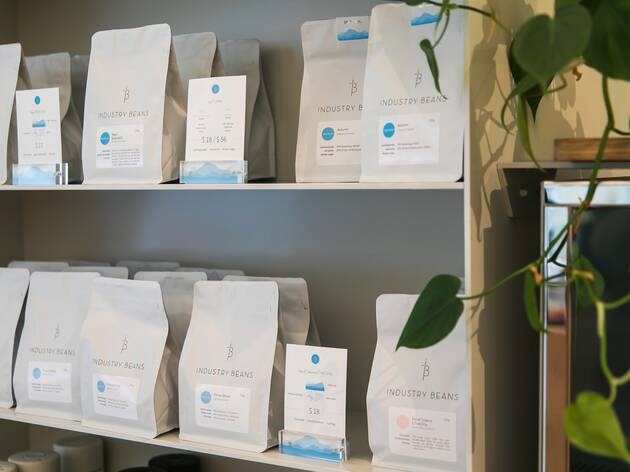 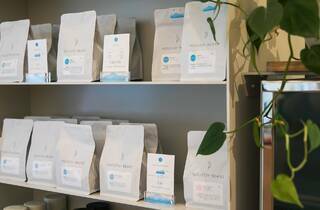 The coffee menu is as elaborate as it is informative, with tasting notes, topographical information about the beans origins, processing details and backstories for the single origin offerings, and you need to look closely for the key on the far right that tells you whether it’s a batch brew, cold brew or bubble coffee. 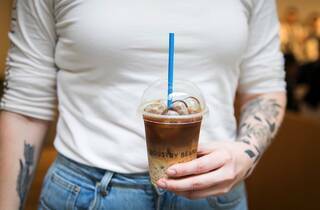 Oh yes, while style is first and foremost here, right down to the white Frank Green keep cups and Solange tracks on the stereo, they also know that even the most serious coffee drinker can be swayed by a sweet-and-cold refresher made with cold brew, a soy milk/condensed milk sweetener and tapioca pearls. 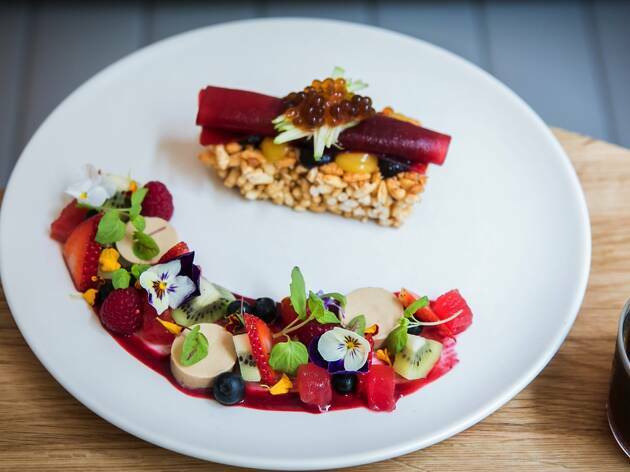 If you are two thumbs up for the whole hyper-design experience, order the fruit sashimi, a beauty queen of a breakfast dish that’s ready for its close-up. 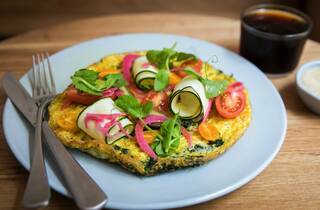 But there are more prosaic options too, like a golden omelette run through with basil for morning pesto vibes, or smashed avo – the fruit was a little firm on our visit, but flourishes like a charred lemon cheek and beetroot dust are fun. 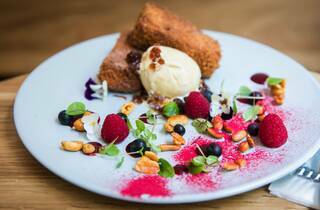 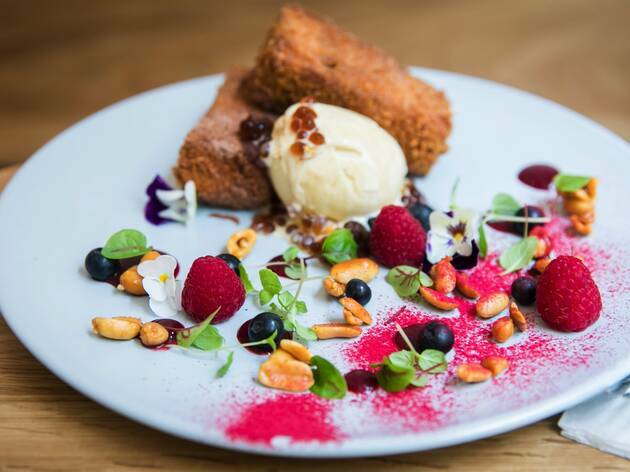 Enquiries are made, and cinnamon-dusted brioche with tonka bean ice cream, maple-roasted peanuts, blackberry coulis, raspberry dust and coffee caviar is summarised as “a stack of doughnuts with ice cream”. 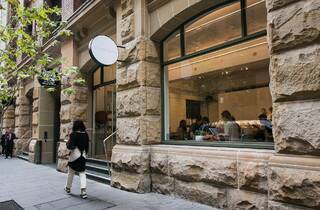 It’s a good lesson in how best to approach things here. 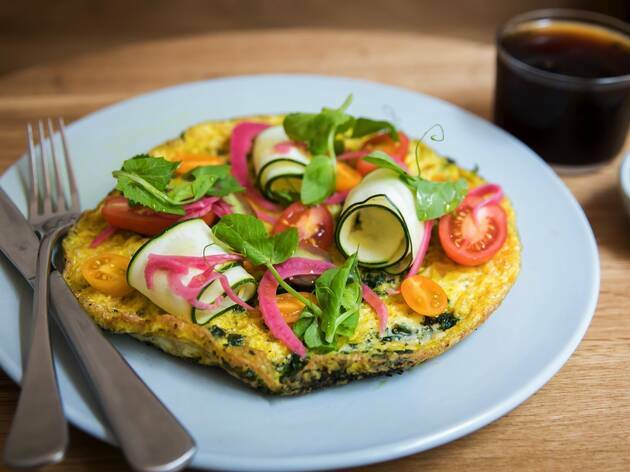 The food sounds elaborate and is carefully constructed – great conversation fodder for a business meeting – but it can also register as complicated to a foggy morning brain, so you’ll want to visit when you’re squarely in the mood for pomegranate ginger foam and massaged kale. 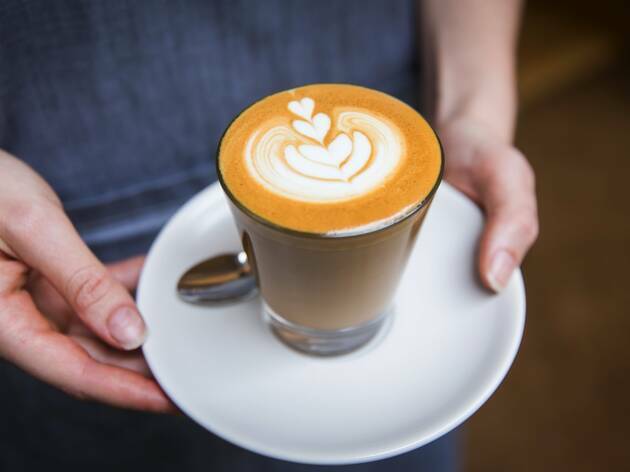 Coffee is the real reason you’re here, and they are unquestionably good at it. 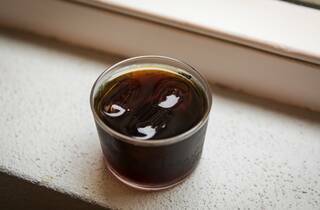 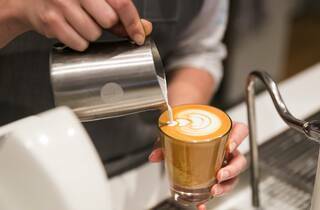 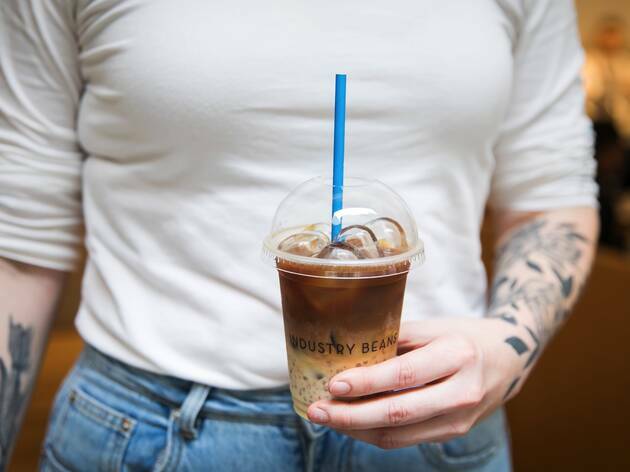 A Fitzroy Street cold brew is lively and fruity, with an elegant nuttiness, while an autumn blend in an three-quarter flat white (they call it a ‘magic’ down south) is every bit the roasty caramel experience you hope for from your morning hit. 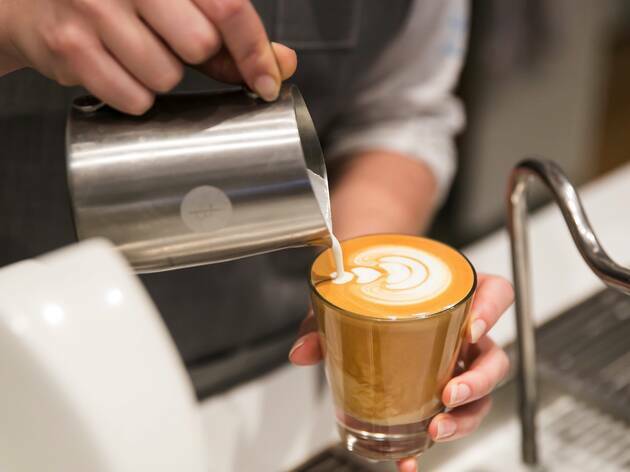 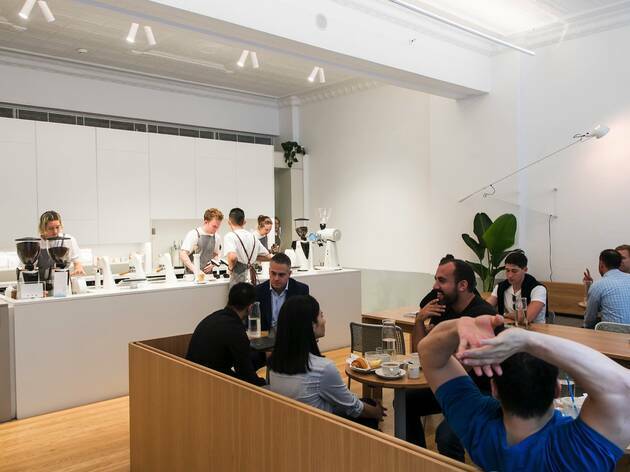 You can get coffee on every corner in the CBD, but the highly styled, super-sleek experience at Industry Beans makes an event out of your daily habit, which is a much better result than the broken French you retained from your own cultural exchange in high school. 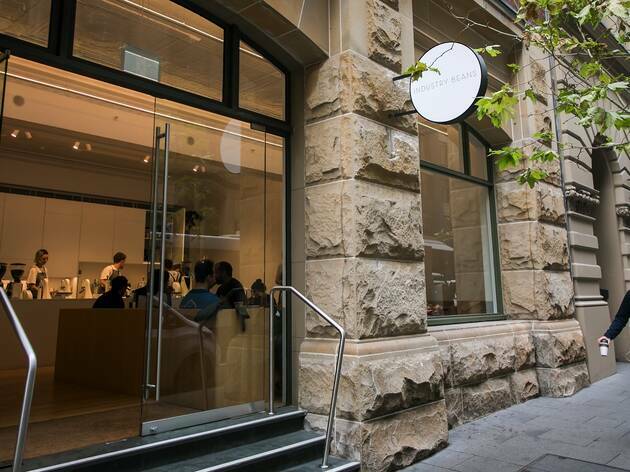 Thanks, Melbourne: we’ll be keeping this one.